Synchronization is a critical function in digital communications; its failures may have catastrophic effects on the transmission system performance. Furthermore, synchronization circuits comprehend such a large part of the receiver hardware that their implementation has a substantial impact on the overall costs. For these reasons design engineers are particularly concerned with the development of new and more efficient synchronization structures. Unfortunately, the advent of digital VLSI technology has radically affected modem design rules, to a point that most analog techniques employed so far have become totally obsolete. 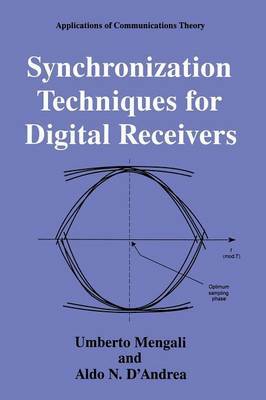 Although digital synchronization methods are well established by now in the literature, they only appear in the form of technical papers, often concentrating on specific performance or implementation issues. As a consequence they are hardly useful to give a unified view of an otherwise seemingly heterogeneous field. It is widely recognized that a fundamental understanding of digital synchronization can only be reached by providing the designer with a solid theoretical framework, or else he will not know where to adjust his methods when he attempts to apply them to new situations. The task of the present book is just to develop such a framework.